This is a retro 1958 FA Cup Final goalkeeper shirt, signed on the front, by United Legend Harry Gregg. 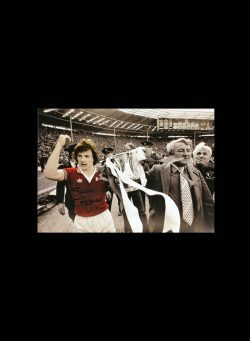 The shirt bears the special phoenix badge commemorating United’s historic Cup run in the aftermath of the Munich Air Disaster. 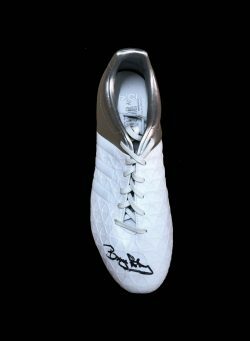 The shirt was personally signed by Harry in a signing session carried out and attended by Allstarsignings in Birmingham on 20th November, 2011. A survivor of the Munich air crash in February 1958, Gregg was one of the disaster’s great heroes. Having escaped with just a bloody nose, he went back into the wreckage to pull out those who were trapped. He rescued a 20-month-old child, a pregnant woman and attempted to revive Matt Busby. It wasn’t out of character. A real tough nut, Gregg was as vocal, commanding and abrasive as Peter Schmeichel would become three decades later. His bold personality and powerful physique had persuaded Busby to fork out £23,000 – then a world record fee for a goalkeeper – just three months before the crash. 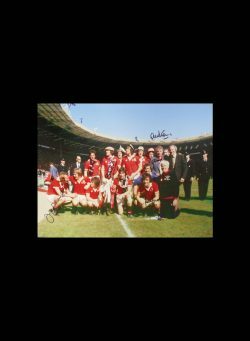 After thedisaster, Gregg was a part of the patchwork team built by Jimmy Murphy who reached the FA Cup final three months later. 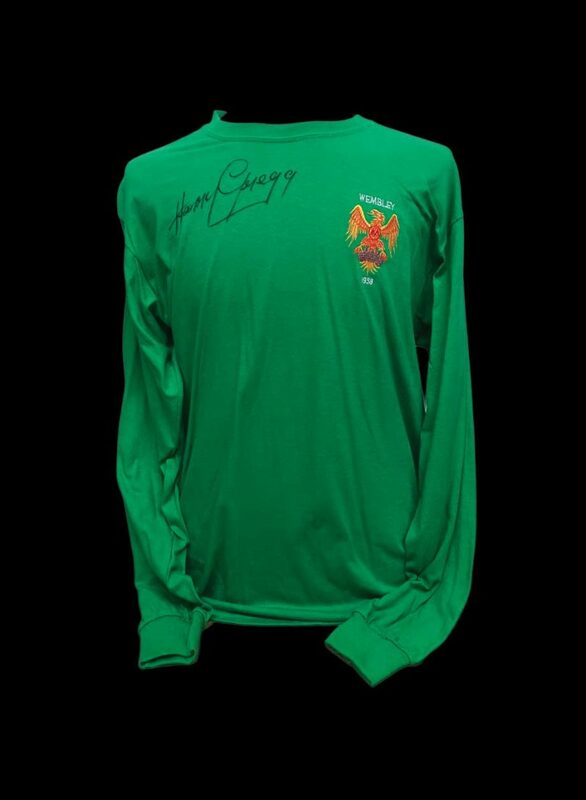 This is a retro 1958 FA Cup Final goalkeeper shirt, signed on the front, by United Legend Harry Gregg. 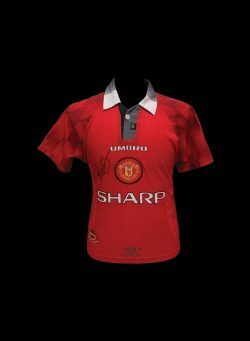 The shirt bears the special phoenix badge commemorating United’s historic Cup run in the aftermath of the Munich Air Disaster. The shirt was personally signed by Harry in a signing session carried out and attended by Allstarsignings in Birmingham on 20th November, 2011. 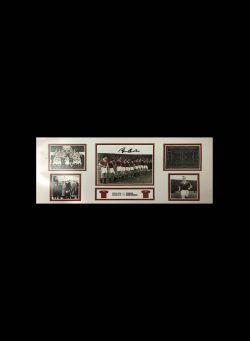 Sir Bobby Charlton Signed Busby Babes “The Last Lineup” storyboard.